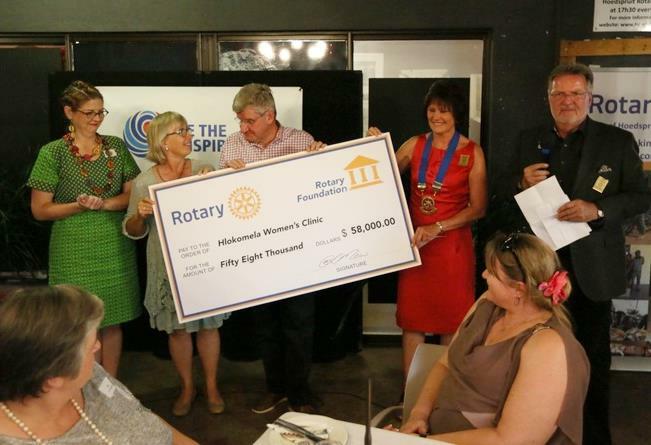 Handing over the $58,000 cheque to Sonja Botha, Staff Nurse of Hlokomela and Christine du Preez, Director Hlokomela are Michael Henderson, Rotary Foundation Chair, Wilna Mew, President and Ole Ahrens, President Elect. Rotary is a Leadership organization, comprised of business, professional, and civic leaders. we are able to accomplish significant things - in our local community and the world. Rotary is a worldwide network of inspired individuals who translate their passions into relevant social causes to change live in communities.